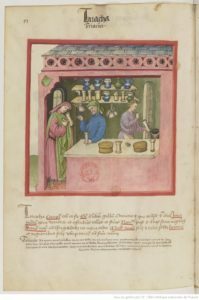 Over the next few weeks, The Recipes Project will feature a selection of case studies from the current issue of the Bulletin of the History of Medicine on “‘Testing Drugs and Trying Cures”. This special issue grew out of a 2014 workshop held at Max Planck Institute for the History of Science in Berlin. We were very lucky to have two then graduate students Ashley Buchanan and Tillman Taape, join us for and grateful that they took the time to pen the post below. It seems fitting to begin this month on testing drugs and trying cures with a revisit to their post. Elaine (editor). The project “Selling the Exotic in Paris and Versailles, 1670-1730”, running in the Faculty of History at the University of Cambridge, and funded by Leverhulme Research Grant 2014-289, held its planned workshop in April this year. 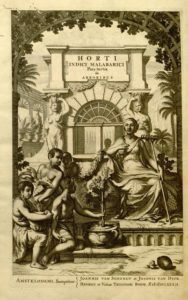 Its theme, “Consumers of the Exotic: European commerce and the consumption of exotic materia medica, 1670-1730”, brought together a group of international scholars working on these questions in a broad variety of European contexts. Our goal at the workshop was to produce a comparative picture of the ways in which exotic plant materials were processed, bought and consumed in Europe. Why did European consumers buy—and more significantly ingest—exotic plant materials? What did exoticism mean to them? While recent work has focused on colonial bioprospecting and the appropriation of indigenous knowledge, our aim was to investigate demand within Europe itself, exploring divergences and similarities across contexts. The choice of a restricted timespan—the decades around 1700—provided a baseline for comparison of drug production, sales and consumption in different cultures. Alexandra Cook (University of Hong Kong) kicked off the programme with a study of a proprietary drug, Garcin’s “Maduran pills”, sold around Europe in the early eighteenth century by an entrepreneur whose Protestant faith led to a complex intellectual and commercial itinerary. Cook argued that exotic ingredients were not necessarily a selling point for eighteenth-century patients. Harun Küçük (University of Pennsylvania) provoked us to think about the complexity of defining the exotic, and the importance of a multi-perspectival view of the history of drugs: Ottoman healers associated New World exotica like cinchona bark and ipecacuanha root with French medicine, since these substances often reached them via French commercial and intellectual networks. Continuing the global theme, Samir Boumediene explored the place of drugs in the missionary activities of the Society of Jesus. The decades around 1700 represented a decline in the relative importance of Jesuits in the global drug trade, as new players came to disrupt their initial privileged position. Šebestián Kroupa (University of Cambridge) offered a counterpoint to the workshop’s focus on European consumption by exploring the supply of European drugs to transplanted European populations—Manila in the Philippines. European drugs were in fact imported in large volumes to this “exotic” locale; little attention was paid to the pursuit of plant substances that might be commodified in the metropole, an exception being the Saint Ignatius bean. 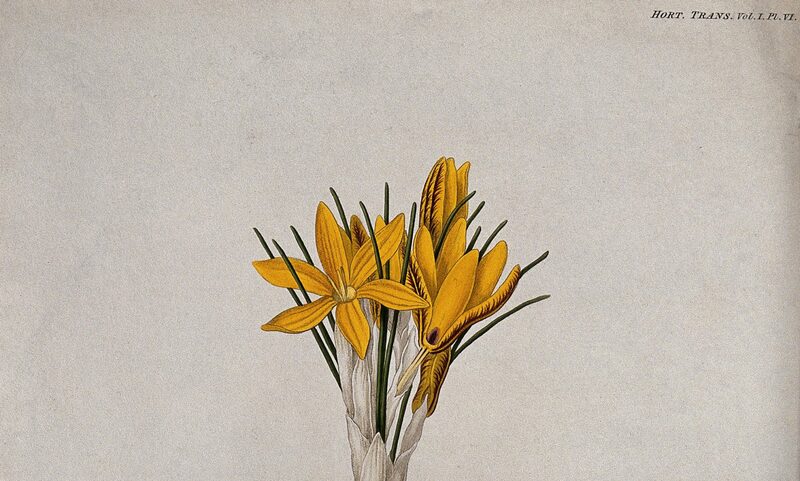 Victoria Pickering explored the diverse trajectories, contacts, and exchanges that were necessary to assemble the massive collection of exotic plant substances of Sir Hans Sloane. Moving to early modern Russia, Clare Griffin suggested that its unique geographical connections—in the form of a land route between Europe and the Far East—led commentators to represent distant substances and peoples as subject to incorporation into the Empire, rather than “exotic” in the sense of “foreign”, as the case of rhubarb showed. 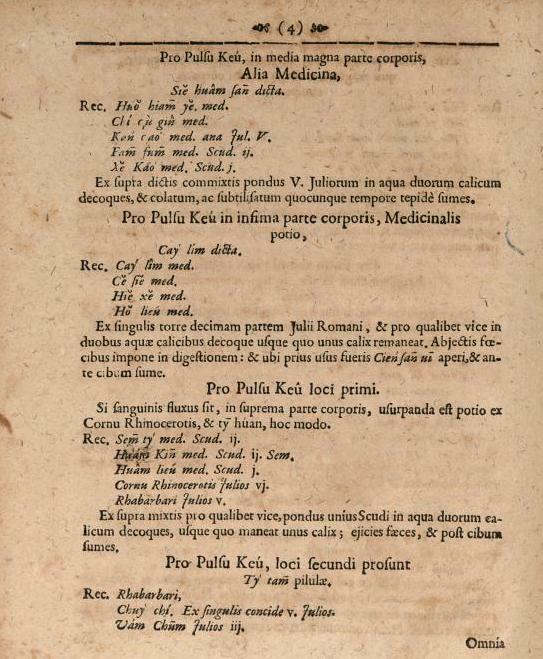 Paula De Vos concluded the first day with an account of Palacios’ prominent 1706 pharmacopoeia. Early modern Western pharmacy was indebted, for its materia medica, to the Indo-Mediterranean world rather than the continent of Europe. The slow appropriation of new drugs spread outwards from this Indo-Mediterranean core to the Silk Roads, the Indian Ocean, and eventually the Atlantic world. 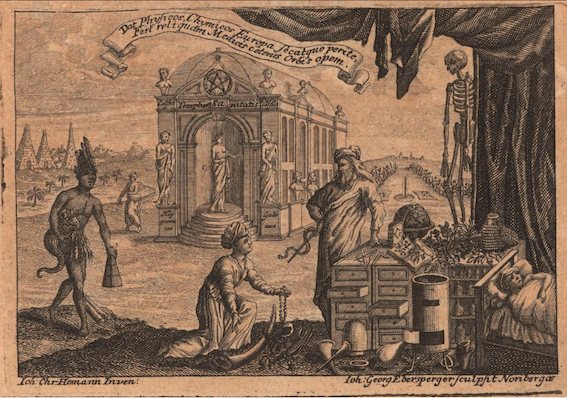 On day 2, Laia Portet explored the architecture of exoticism in printed French materia medica. Where familiar European plants tended to be classified alphabetically, unfamiliar exotics were classified by parts (roots, barks, leaves) since this was the form in which they entered the European marketplace. 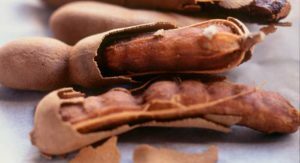 Emma Spary used a case history of an exotic aromatic, cinnamon, to point up the disjuncture between textual, material and empirical knowledge of drugs, a conundrum for medical experts, market regulators and individual consumers. 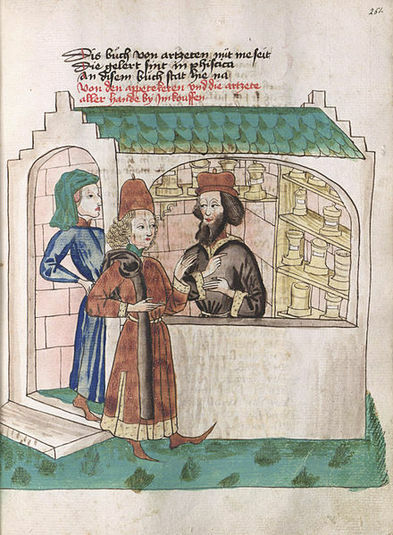 Hjalmar Fors provocatively suggested that for early modern Europeans, “the exotic” primarily evoked traded material goods, including spices and drugs, rather than foreign peoples or distant geographies. Lack of knowledge about the places of origin of drugs was critical to a substance remaining “exotic” in European eyes. Justin Rivest spoke of the encounter between political power, the emerging state and the large-scale administration of drugs in France, looking at how personal trialling of drugs by successive ministers of war led to a centrally administered programme of dispensing exotic drugs like tobacco, quinquina and ipecacuanha to French troops. In a very different take on the end-user, Wouter Klein introduced us to the uses of print culture as a research tool for relating newspaper advertising and ships’ cargoes of drugs in the Dutch republic after 1700. Several common themes emerged from the papers. It seemed that “colonial bioprospecting” had its limits as a way of understanding European engagement with non-European materia medica. Most substances discussed did not reach Europe thanks to state intervention, but rather were trafficked by a heterogenous set of actors: missionaries, trading company officials, entrepreneurial merchants and court physicians. Many papers also showed that “exoticism” was not necessarily inherently desirable. A drug’s value was established through consensus-building over time. Furthermore, “exoticism” was a relative, context-specific category, subject to change, not solely a feature of geographic origin, or of a core-periphery relation between European metropoles and their colonies. The papers demonstrated that exoticism was also, perhaps largely, a product of degrees of familiarity and unfamiliarity, which varied widely across different European contexts. In sum, rather than being inherently valuable objects of appropriation, exotic drugs were socially constructed goods. I have long wanted to explore the fascination with coral as an ingredient in the history of science and medicine. Laurence Totelin wonderfully began her post on the use of coral in an ancient amulet by placing coral “centre stage,” noting its curious and complex categorization as animal, plant, or stone, and bringing attention to the other posts in which the red ingredient has cropped up. In tandem with these fascinating mentions of coral, I have been struck for years by a remarkable image in the medieval French Livre des simples médecines which depicts coral on an apothecary’s shelf in a beautiful, vibrant red. 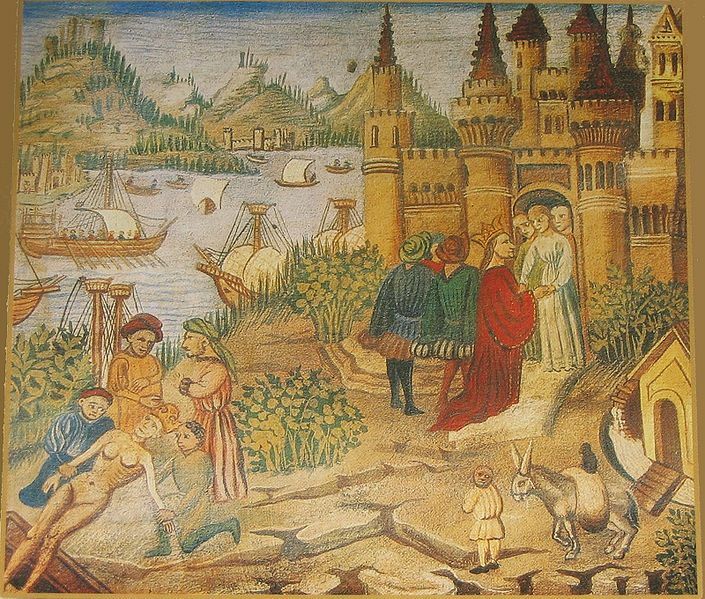 Livre des simples médecines, Paris, Bibliothèque Nationale, MS n.a. fr. 6593, fol. 12322. In this post, I’d like to focus on coral’s red color, a key indicator of the ingredient’s effectiveness, and its naturally occurring virtues as explained in early modern texts. 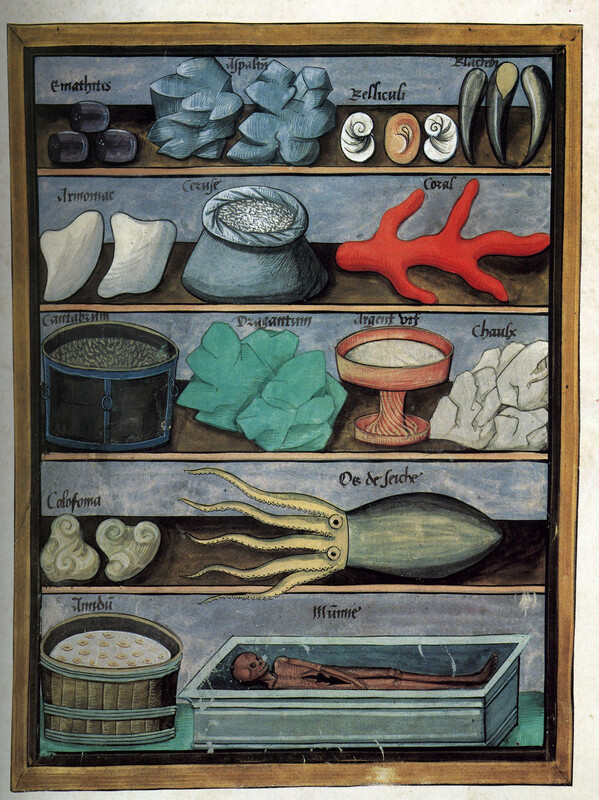 In his medical treatise, translated into English as Paracelsus his Dispensatory and Chirurgery (London,1656), the physician Paracelsus provides an entire treatise on “the Vertues and Preparations of CORALS.” From the start, Paracelsus’s examination focuses on the color of red coral, determining two main kinds: a “dark red colour, or toward a purple colour,” and “a bright, shining red colour” (39). It is the quality of the redness of coral, Paracelsus insists, that indicates its virtue and effectiveness. Coral that has the “clear, bright, shining red colour”—and additionally which is “full of boughs, and no where broken”—is “full of power and vertue” (40). 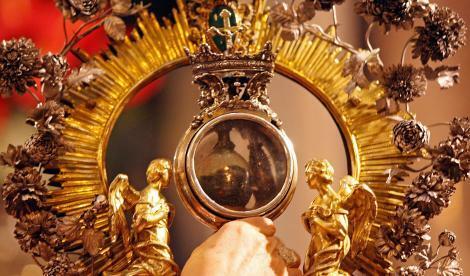 This virtue is lessened if the coral has “clefts” or is missing parts. Paracelsus uses this to begin his analysis of color differences in coral, and how those color differences indicate the use value of the coral in a number of different remedies. Paracelsus’s starting premise is that the corals that have the bright red color are “pleasant and delectable,” while the “dark red” or purple are “not pleasant to the eye” (40). Correspondingly, Paracelsus advises that if you carry coral with you, one should “chuse and love the bright Coral,” but “beware…the dull, dark Coral” (40). This leads to Paracelsus’s emphasis of the role of color in distinct affective differences in coral. “As joy differs from sorrow, and laughing from weeping” he outlines, “so these two sorts of Corals differ the one from the other” (40). Therefore, a “sick or weak man, who would have his heart merry and joyfull” would “increase his disease and sadnesse of heart” were he to carry with him the darker colored coral (40-41). In addition to the affective differences in brightly or darkly colored red coral, the redness of the coral, according to Paracelsus, serves to address one’s susceptibility to various mental, psychosomatic, and spiritual concerns. For example, bright red coral is “good to quicken Phansie, or imaginative faculty” (41), which helps to aid the “studie of Secrets, of Arts and Sciences, and new Inventions” without tiring the mind (41). This is because bright red coral prevents the mind from being infected by “the Divel,” or with “impurity, wickedness or vanity” (41); the dark red coral, however, “doth the contrary” (41). Bright red coral also protects against “Phantasms, or nocturnal spirits” as well as “vain visions, or vain sights, call’d Spectra” (41). Phantasms and nocturnal spirits were believed to be both good and bad, related to nightmares. Though not of much use to humans, these phantasms were cumbersome in that they could trouble one’s thoughts. Bright red coral provides a remedy, as these phantasms “fly from these bright Corals as a dog from a staff,” although one must beware of the darker colored corals which, in contrast, attract these nocturnal spirits (42). Spectra, on the other hand, are ghosts, or as Paracelsus describes, the “Starry bodies of dead men” (42). These ghosts “cannot endure to be where the bright Coral is,” and thus bright red coral can be used as protection from them. In contrast, however, “dark coloured Coral allures” the ghosts (42). It is perhaps due to the influence of bright red and dark red coral on both psychosomatic and supernatural afflictions, the spirits and ghosts that can plague early modern minds, that it also gains the reputation of aiding with melancholy. Melancholy, according to Paracelsus, is “a disease which makes a man sad whether he will or not; that he grows weary of every thing, and becoms dull: and by his diverse thoughts and speculations makes him grieve and weep” (43). Bright red coral is able to drive melancholy away, whereas the dark red coral increases melancholy. Indeed, the early modern description of these virtues of a coral’s redness fits with the ways in which we ascribe affective significance to colors. 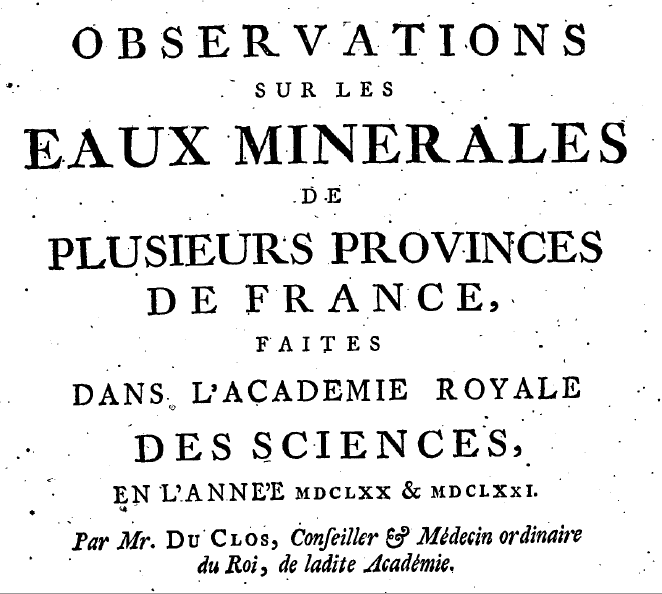 The vibrancy of red coral thus contributes to its use in recipes that draw upon its redness, not only for its affective influence but also for its sympathetic properties, like the blood staunching remedies of antiquity that Laurence Totelin brings to light and the eighteenth-century bloodstone that Marieke Hendrikksen examines. As Paracelsus himself exclaims, “the mysteries and secrets of Corals are wonderfull” (51)!